Flashlight apps are very useful these days for many needs. So, hundreds of such apps are being created and uploaded to the play store each day. But, do they worth being installed in our smartphones? Are they giving such functions as they offer? Most of them not. Laggy interface, less bright light, annoying ads are all irritating the users for the need of some light from their flash. Apalon Flashlight app is something different from this kind of problem makers. It does for what it is created. The built-in SOS system adds extra capability to the app with the extremely good brightness coming out of the smartphone flashlight. Another noticeable feature of this app is it can even operate without a flash! It utilizes the display of the smartphones by adjusting the brightness to act like a flash which is not far bad than a normal flashlight. Today, we are going to provide a short review of the Apalon Flashlight app to let you know more about the app and its features. Having a look at it will be a wise decision if you are really in search of a simple and effective flashlight app for your android smartphone. The Apalon Flashlight has 9 different frequency outputs which all are different in functions. 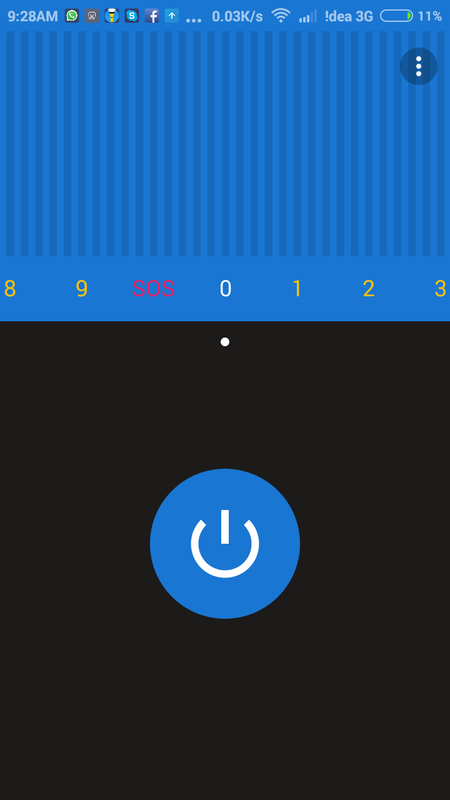 The numbers 1-9 represents the frequencies on the app which can be switched by just sliding the screen. It is very simple to operate with these frequencies as no complicated configurations or settings are needed for the functioning. 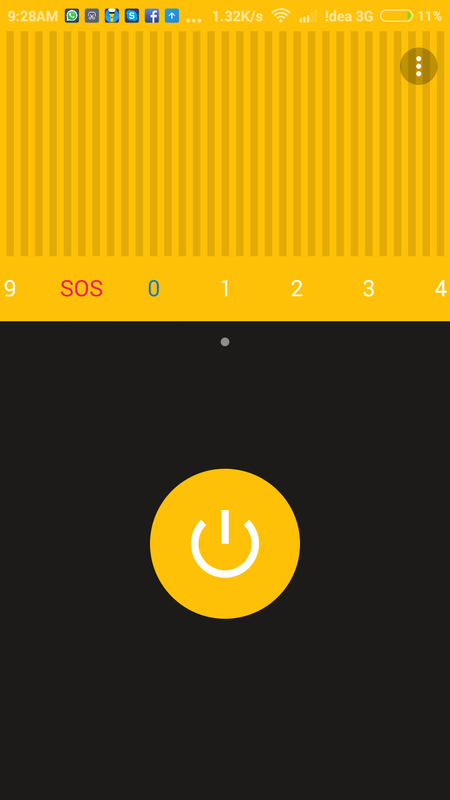 As I have mentioned before, the app has a built-in SOS system to help the users give emergency signals in urgent situations. Users just have to move the slider to the SOS and tap on the big power like button on the bottom portion of the app. Within no time, the app will start producing SOS signals which may be your life saver sometimes. If you own an old smartphone which doesn’t have a built-in flash in it or if your smartphone flash damaged due to any problems, the Apalon Flashlight app has the solution. It can utilize your smartphone display for outputting the light by making it brighter as possible. The brightness may depend on the quality of the screen your smartphone has. From our tests, it performs far better than other like apps. To enhance the user experience, developers included three different color modes on the app which represents different frequencies of the light output. For example, for the SOS signals the Rose color is used, for the normal flashlight the Blue color is used, finally for the nine different frequencies, a yellow color is used. All are providing a better understanding of the current mode. 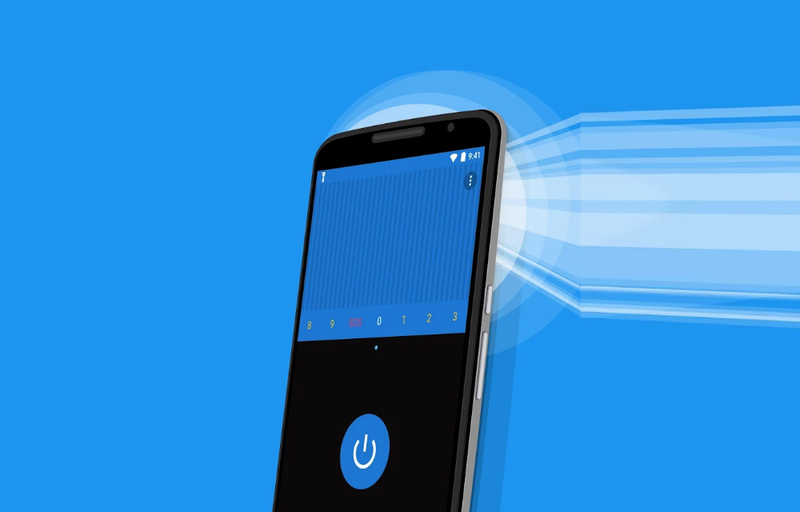 Apalon Flashlight app is a good one to consider, especially if you need a simple and efficient app without no further functions than the necessary once. As the app can operate even without a flash on the smartphones, it does stand a chance on the smartphones without a flash. The interface is also user-friendly and has no complications in the setup or usage all over the app. So, it worthy to be installed on your smartphone. You can install it from the following play store link. Tech lover, programmer, editor of many websites, a lovely person. Loves to read, explore, and travel. Often writes for The Wearable News.